Can Honey Help Burn Fat? 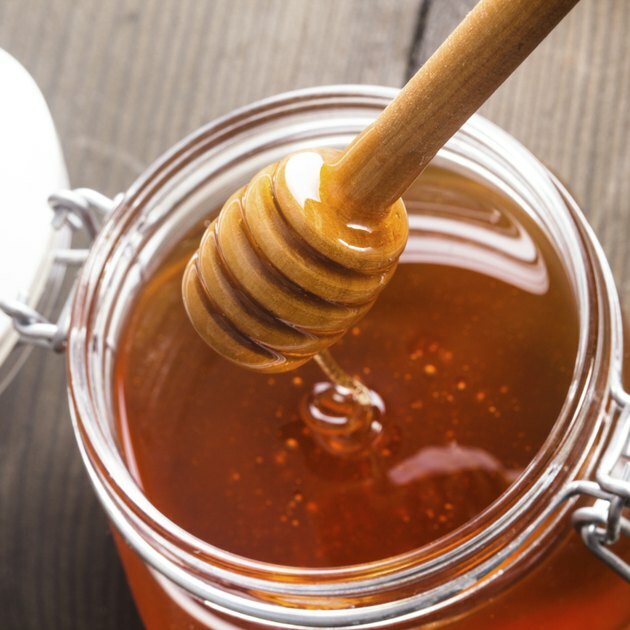 If you are looking to lose weight by increasing how quickly your body burns fat, you may consider a home remedy that consists of taking honey before bed. Also, honey may help you lose weight by being used in place of other sweeteners. Keep in mind that honey should only be used in moderation since a tablespoon of honey has approximately 66 calories. The Hibernation Diet is a weight-loss plan developed by pharmacist Mike McInnes and nutritional expert Stuart McInnes. The main component of the diet is that you consume 2 tbsp. of honey before bed each night. The honey can be served cold or mixed in a drink, like hot tea. According to the makers of the diet, honey fuels the liver and promotes the release of fat-burning recovery hormones while you sleep. The effectiveness of this diet has yet to be proven. According to a 2010 study found in the "International Journal of Molecular Sciences," honey may have the ability to stabilize blood sugar. During the study, diabetic rats were given honey along with diabetic medications. At the end of the study, the honey group of rats had lower blood sugar levels and reduced amounts of weight gain than the control group. When your body has lower blood sugar levels, it decreases your appetite and causes you to consume fewer calories. With calories restricted, your body will burn fat and help you reach your weight-loss goals. The results of a 2001 University of Memphis Exercise and Sport Nutrition Laboratory study showed that honey has the ability to increase endurance during exercise. Cyclists who received honey before a 40-mile time trial demonstrated more speed and power than the placebo group. The more you exercise, the more fat you burn. Honey can be an effective replacement to other high calorie sweeteners as part of your weight-loss plan. However, only use the flavoring in moderation. If you typically add sugar to flavor your dishes, use honey instead. However, use 1/3 of the amount. For instance, instead of adding 1 tbsp. of sugar, include 1/3 tbsp. of honey.